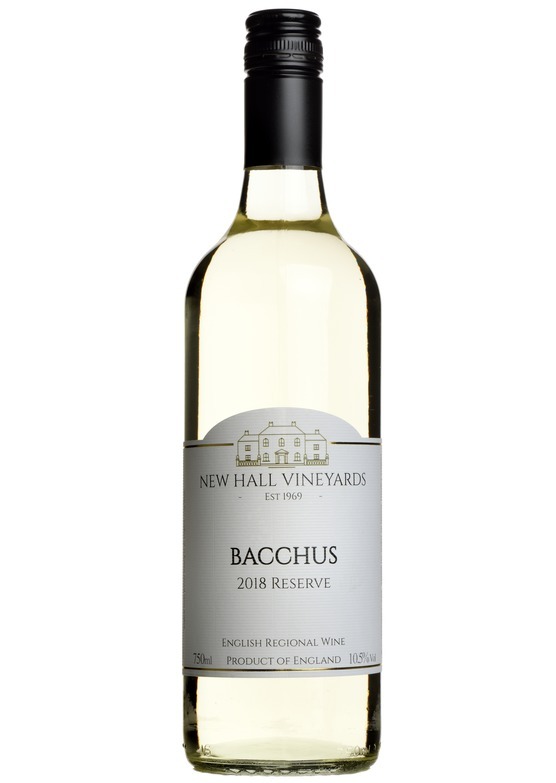 New Hall's signature Bacchus seems to improve with each vintage, and the new 2018 release gains an extra level of ripeness and roundness from the hot summer we enjoyed last year. If you haven't tried Bacchus before, it is England's answer to sauvignon blanc, with a crisp, fresh citrus character and aromatic notes of spring blossom and freshly-mown grass. Tangy and verdant in style with intense flavours of granny smith apple, elderflower and gooseberry. With it's extra hint of honeyed fruit this year to partner the pronounced zippy character, this bacchus epitomises springtime, and is very easy to drink unaccompanied. But also a perfect match for seafood, asian-spiced dishes and milder cheeses. New Hall Vineyards is a family business located in East Anglia. It was established by the Greenwood family in 1969 and it’s known to be one of the oldest vineyards In England to produce award winning wines. New Hall accounts for the largest Bacchus production in the country due to the special microclimate of Purleigh in Essex, its wines are not to be missed! The name Bacchus actually comes from the Roman god of wine. As a grape variety Bacchus is the name given to a crossing between the German grapes Silvaner, Riesling and Müller-Thurgau. As an early ripening grape it is a good grape to grow in marginal climates making it ideal for the increasing number of growers based in the UK. The wines produced have quite high acidity and be described as slightly similar in style to Sauvignon Blanc.